One of the less well know command-line switches is the unsupported -standalone option. Why is it so incredibly useful? Well, if you demo the automatic deployment features of VMware View it’s sometime tricky to show the max, min and buffer settings on the properties of a desktop pool. 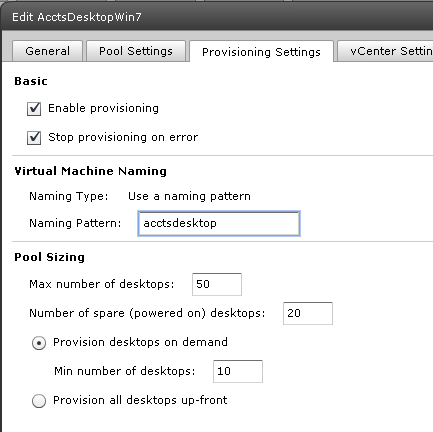 Due to the one-2-one nature of client to virtual desktop – this can lead to silly things like creating 50 client VMs with the View Client installed to trigger the spawning of new virtual desktops. It would be far easier to have one client and be able to run the View Client as many times as you liked within single session. That’s where command-line switch -standalone comes in – it allows you to run multiple instance of the View Client as many times as you like.